My iron crapped out. In a big way! I turned it on to iron some clothes (yes, I had to break down and iron something besides quilting fabric). It sputtered and spit and then spewed out a great big gob of rusty steamy water. Thank goodness it was not on top of the clothing... however, my ironing surface looks pretty bad now. I think that irons are designed to do this very thing so that you have to keep buying new ones. Do you agree? Anyway, I did a little research and found another iron that I hope will work for me. I am a bit picky about having an iron that doesn't have an automatic shut-off. Or at least one that can be bypassed. It is very annoying when you are sewing a bunch of pieces for a quilt and then when you get up to iron, it has turned itself off again. Argh! 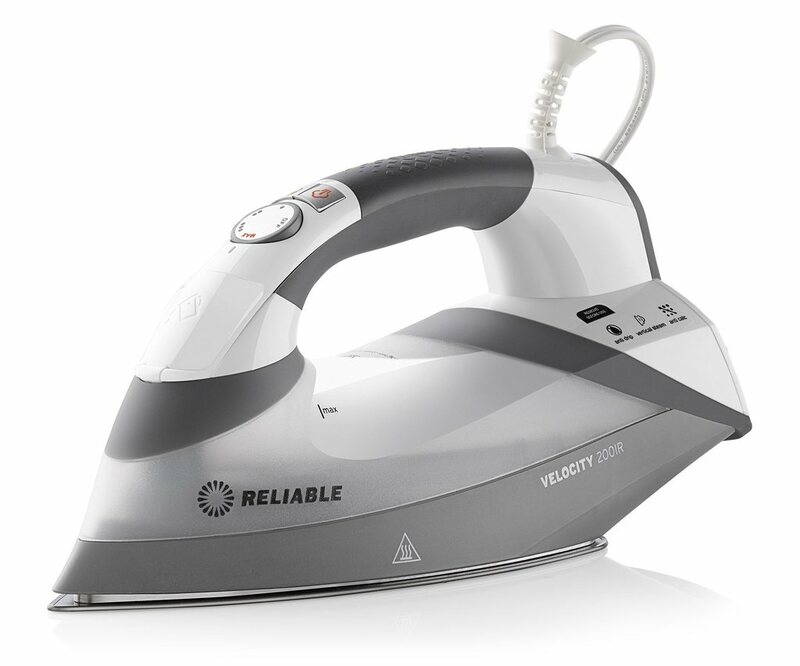 So, the Reliable Velocity Iron has a steam and a super steam function, plus the bypass, and the cool thing is that the steam is made inside the iron so it doesn't spit. AND, you can steam with it vertically! So if you want to press or steam something on the design wall (or clothing if you really have to), you can do it without the ironing board. Pretty cool, huh? Well, here is a picture of it. I found that the price was the same whether it was ordered over Amazon, or from another source. So far, I love it.